These stunning pictures show a humpback whale thrilling crowds by leaping into the air just off the UK coast. 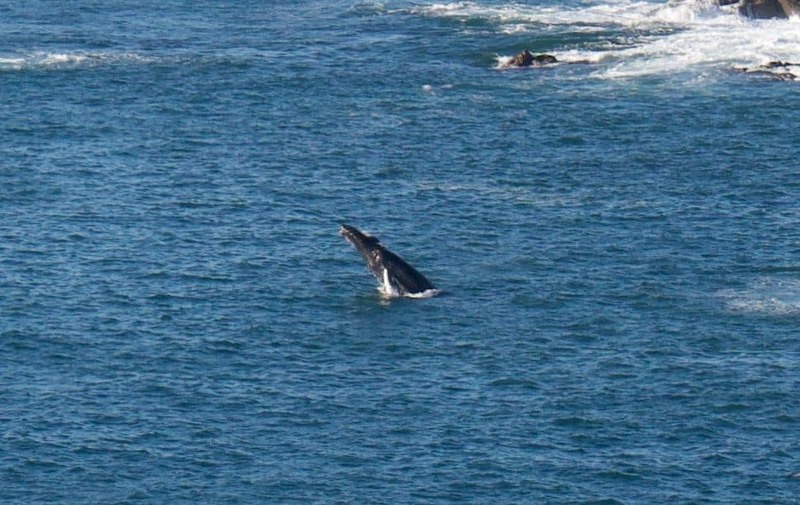 Cliff top walkers were treated to a surprise visit by the whale who performed a spectacular acrobatic display close to the shore. 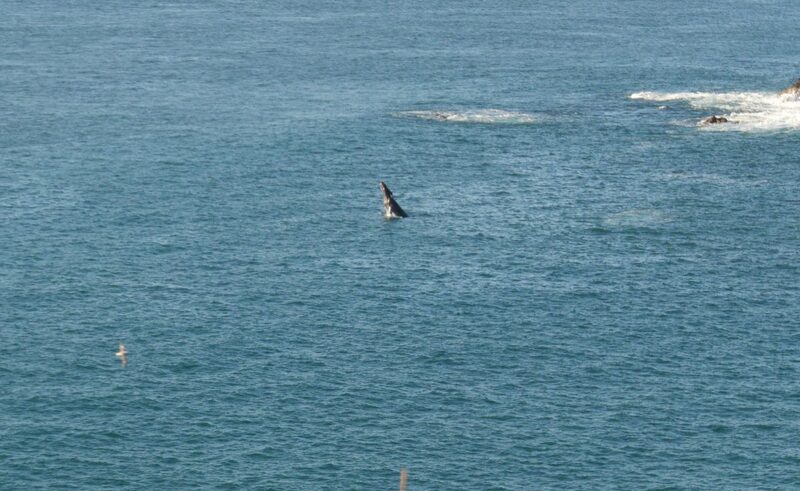 The images were captured on camera by Pete Bradwell and his partner Katherine Calder off cliffs just east of Zennor in St Ives, Cornwall, on Tuesday. 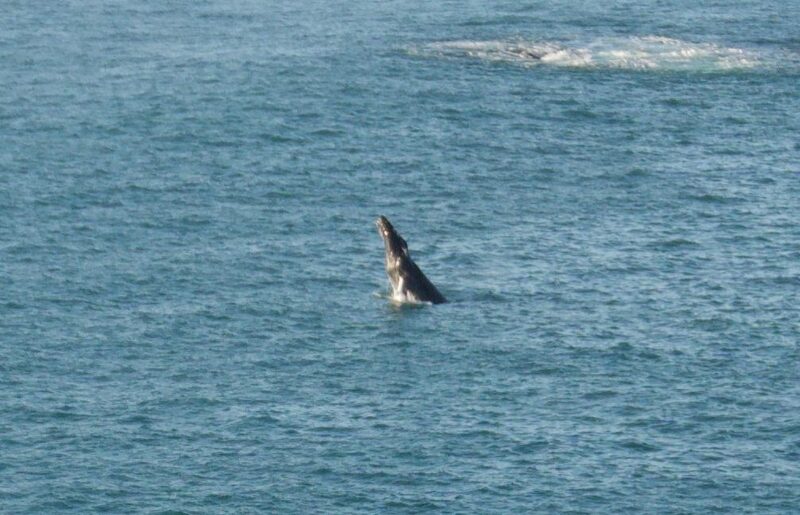 He said: “My girlfriend and I were on the coastal path near Zennor on Tuesday this week, and saw a humpback whale breaching and jumping out of the water multiple times. “It seemed to be enjoying itself. We’ve submitted a sighting report to the Seawatch Foundation. 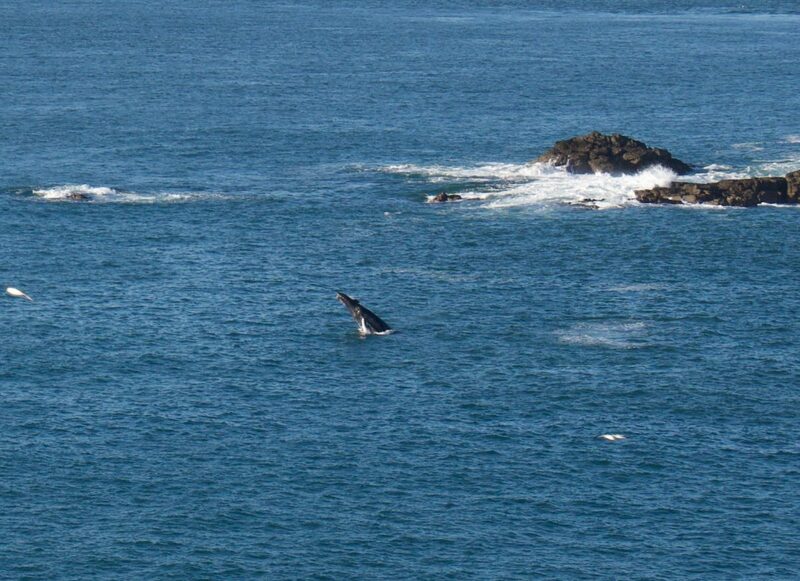 “We took some photos of the breaching, and of the whale waving its pectoral fin. The humpback whale is a species of baleen whale and adults range up to more than 50ft in length can weigh around 25–30 metric tonnes. Mr Bradwell added: “We couldn’t take our eyes of this majestic creature. One of the most wonderful things we’ve ever seen.